Meditation – What does it actually do for you? “Deep breaths Mouni….deep breaths…. the semester is almost over! You can do this!” As I say this to myself, I always wondered why this worked. Why is deep breathing considered relaxing? I do it every second of my life, but how does breathing slowly and heavily help me in any different way? I know people see me as Indian and therefore assume that i’m stereo-typically a meditation master, but i’m actually on the same boat as all of you. After recently watching the highly grossing box office movie, Dr. Strange, I became interested in learning meditation so i could acquire super awesome powers to create teleports and three dimensional universes. Well.. not really, but I am super interested in how many monks around the world sacrifice so much of their life to study meditation and what it actually does to them. Every Tuesday, the Penn State AcroYoga club holds open practice in the old main lawn. I attended one of these sessions and I became completely relaxed and calm while learning and practicing the yoga and meditation that they offered. After one practice, I noticed that many of my worries became insignificant, and that I was a lot more relaxed and mentally healthy than before. So how does meditation work, and should we give it a try? let’s find out! First of all, What is meditation? According to Swami Rama, meditation is resting the mind and achieving a state of consciousness that is different from the norm. After reading this, I felt that this definition strongly related with my experience with AcroYoga; there is a mental relaxation that comes with meditation. 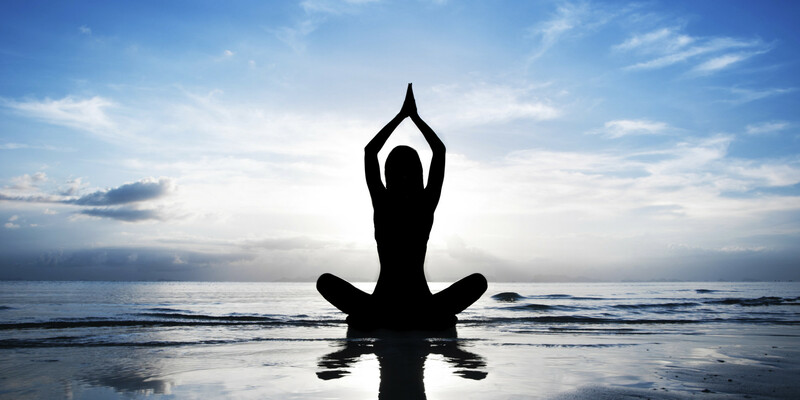 Now, in popular culture, meditation is largely connected with spiritual and religious affiliations. While it is true that many monks in Nepal under go this practice for their spiritual beliefs, there is actually a lot of science behind it! One of the first scientists to dive into the science of meditation was Sara Lazar from Harvard Medical School. She conducted a couple studies to see how involved science was in meditation. Lazar’s first study was an observational study. The null hypothesis of the study was that Meditation is not associated with decreasing stress, decreasing depression, anxiety, pain, and better quality of life. the alternative hypothesis was that meditation did in fact improve quality of life and decreased emotional stress, anxiety, depression, and more. Her observational study differentiated the experimental group which were the long term meditators against the control group which were ordinary people who do not undergo regular meditation. The results that she found were distinguishable. Within the data, she found that the meditators had more grey matter in the frontal cortex than the control group. The grey matter serves as mechanism to measure the association of meditation and better quality of life. As people get older, they slowly lose their ability to remember and think because their cortex shrinks. This study has showed that 50 year old meditators had the same amount of grey matter as people who were 25. Lazar recognized the limitation of an observational study and decided to take into account for the possibility of reverse causation: the people who meditated in this study naturally had more grey matter before they meditated. Because of this, Lazar decided to conduct a second study. The second study would be an experimental study, rather than an observational study. While the null and alternative hypothesis remained the same, Sara Lazar created the experimental group where the people were going to meditate over an eight week period, and the control group where the people were not going to meditate. After the eight weeks, Lazar found shocking data: the analysis of the MRIs showed that the people in the experimental group grew grey matter in the posterior cingulate, the left hippocampus, the temporo parietal junction, pons, and finally the amygalda. Lazar’s second study eliminates both reverse causation and third variables because it was an experimental study. It’s amazing how much science is connected to meditation. The spiritual world and the scientific world always seems like they are on the opposite sides of the spectrum, but they are closer than we think. So for concluding remarks, i want to tell you guys that the world of spirits and the world science are closer than we think. It is all interconnected in some way. What one thinks of as a chakra, another can think of as a neurological connection of the brain and the body. The great Dr. Strange once said, “I don’t believe in fairytales about chakras or energy or the power of belief,” but even he became a master in meditation. So next time you have the opportunity to meditate, and you don’t believe in meditator’s spiritual beliefs, try engaging in it with the scientific evidence shown here! This entry was posted in Uncategorized on December 2, 2016 by mzm6020. Thhis is a good blog post, and a good topic for everyone to read. Meditation is a great thing that everyone should try to do a few times a week. 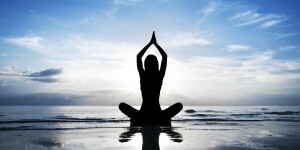 The blog is very imformative and gives the reader good tips and benefits from meditation. I found this post very interesting! I went to a Catholic high school, and I took religion classes all 4 years. Meditation was first introduced to me by one of our campus ministers, and later emphasized by one of my religion teachers. I don’t meditate often at all, but when I do, I can confidently say that the results were great in that the process reduced my stress level and helped me recollect myself. As you stated, meditation plays a big role in religion, and the article I found elaborates on the importance of meditation in different religions.